The Ulster GP is one of the truly iconic races in the world of motorsport – in fact it is the fastest motorcycle road race on the planet! After a couple of months of intensive training Team Traction Control’s Steve Mercer is well up for the challenge in Northern Ireland this week – as this normally down to earth guy takes on a different character when it comes to racing bikes. Steve wants to go very fast at the Ulster GP and it’s the perfect place to do that. With a fastest average speed of nearly 134mph, the famous Dundrod Circuit near Belfast will be a huge test and another important landmark in this amazing first season for TTC. This young team continues to steadily build momentum through each weekend’s racing, and continues to grow a legion of fans and secure promising results. 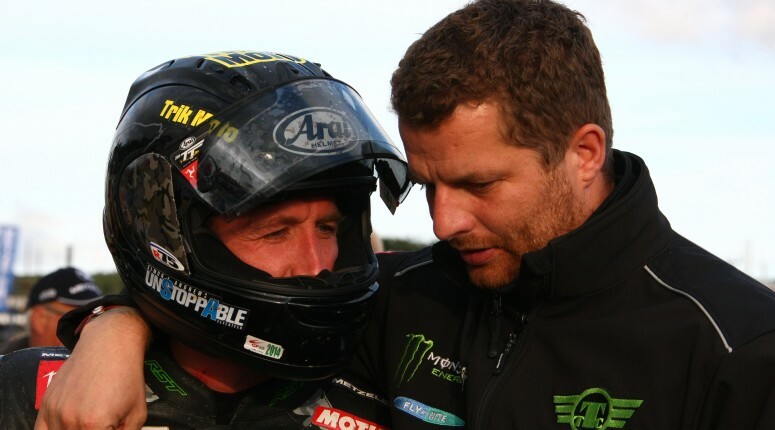 The season has already seen TTC compete in the first half of the Motorpoint British Supersport Championship (BSS) and, of course, the legendary Isle of Man TT, were Steve Mercer battled hard for this new team founded by Prodigy front-man Keith Flint. Road racing is a dramatically different racing environment to the tracks of the British Superbike Championships; the preparation for an event like the Ulster GP is just as different, too. After all, a rider can’t really take to the public streets and practice chasing down the local High Street at nearly 200mph. That kind of commitment to high speed racing is also a rare ability but it isn’t enough on its own: Steve also puts the hours in to ensure that he is also physically fit enough to make the grade. The main action for the Ulster GP takes place on Saturday when Steve will be up against some true warriors on this historic circuit and it’s likely he will need to go faster than ever to get a great result. He certainly has the desire to do that and along the way it’s likely he will gain entry to that exclusive 130mph club, too. Follow the teams progress on the TTC Facebook & Twitter pages.